The teen author shares the finale of her New York Times bestselling Darkest Minds trilogy about survival and love in a terrifying future America. Liam, the boy Ruby loves, may never forgive her for erasing his memories of her. Meanwhile, sparks are flying between Ruby and Liam's bad-boy older brother who has been hiding a big secret. But there are still thousands of other Psi kids suffering in government "rehabilitation camps" all over the country. Freeing them — revealing the governments unspeakable abuses in the process — is the mission Ruby has claimed since her own escape from Thurmond, the worst camp in the country. But not everyone is supportive of her plans to free the camps. As tensions rise, competing ideals threaten the mission to uncover the cause of IANN, the disease that killed most of America's children and left Ruby and others with powers the government will kill to keep contained. With the fate of a generation in their hands, there is no room for error. One wrong move could be the spark that sets the world on fire. ABOUT THE AUTHOR Alexandra Bracken was born and raised in Arizona, but moved east to study at the College of William & Mary in Virginia. She recently relocated to New York City, where she works in publishing and lives in a charming apartment overflowing with books. You can visit her online at www.alexandrabracken.com or @alexbracken. Alexandra Bracken is currently considered a "single author." If one or more works are by a distinct, homonymous authors, go ahead and split the author. 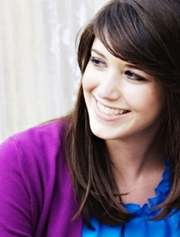 Alexandra Bracken is composed of 3 names. You can examine and separate out names.